Experience your photo moments with family and friends. Transform photos, videos, text and music into a fascinating movie experience and share your memories in brilliant quality. Images in perfect quality - no pixel gets wasted. Select the image section using a camera pan and zoom. I absolutely love this Software. I was using the Microsoft Slideshow feature on my computer and it kept crashing. So I decided to try this Software and It was so easy to use. My Slideshow came out excellent and I never had one problem with AquaSoft SlideShow Software. Will be using it forever! Show where you were. Not only will you remember your holiday destination better, but your viewers can also make a real reference to your travel itinerary by showing them the way on the map.  Describe any path with a "Running line"
Images, text, videos: you can move and rotate everything along paths. This is how you create your own animations. You can animate camera pans. Thus, e.g. a "Ken Burns" effect or zooming to specific image details are possible. A powerful particle system allows you to have a wide range of animations: from the smoke of a steam locomotive to subtle moving background, rain or gently trickling snow. Use a curve to determine the transparency for each element of your project. Collages bring even more life into your presentation. You combine several images, place them on backgrounds or decorate them. Now, if you animate collages as a whole as well as their individual components, you'll have your own animation studio. A number of immediately usable design elements are available, such as, e.g., forms or even speech bubbles. Your software is very very "imponiered". Happy to see not only Silicon Valley has good developers! I've never seen such a software for this price...I'm going to buy it !!!! There has to be tidiness, and large projects can not be realized without it. Organize your show in chapters and manage multi-hour slideshows with thousands of pictures. Project can be divided into chapters and sub-chapters so that you can comfortably denote your vacation with "Getting there", "Day 1", "Day 2", etc. Finished chapters can simply be collapsed. Archiving of the entire project, including all materials used (images, videos, music, fonts, etc. ), so that you can have a project that can be completely edited after years. Would you like to give your images and videos a little boost, sometimes? A huge flexible effect palette is ready for you to realize your ideas. Live effects that affect even animated content and videos, e.g. masks, blur, soft shadows, color corrections, sepia, displacement mapping, halftone effects, mosaic, etc. Other effects like "old film", camera shake, etc. Almost every image and especially video material needs some adaptation. With video editing functions and image corrections, you bring your material into the right shape. Non-destructive image processing allows image corrections without changing your original images. Effect system to create complex effects by yourself How about a picture that gently reflects downwards? With the matching background music, you can greatly increase the effect of your presentation. Whether your audience gets goose bumps, laughs, is amused or thoughtful - it lies in your hands with the dubbing. Volume can be changed with "rubber band"
A word says more than a thousand pictures? You know the saying for sure. Titles and credits as well as picture captions and texts provide for a better understanding, wit and just look good. 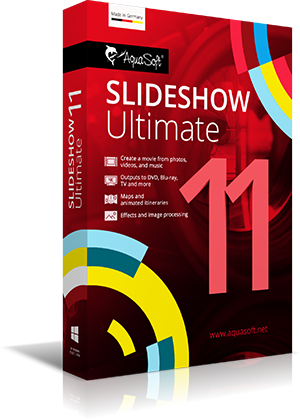 Your slideshow software, "Slideshow Ultimate" is simply the best. Reach everyone! No matter which device or medium, the versatile output options offer the suitable for every purpose and also for further processing. Export as video file in all popular formats: MP4, WMV, MPG, etc. You want to create a slideshow suited to a topic in just a few minutes? Use intelligent templates that automatically arrange and animate everything. Many topics available: birthday, wedding, holiday, school, Christmas, silent film, etc. Templates are used at runtime, so the content - i.e. your pictures, videos and texts - can be adapted and is interchangeable and extendable at any time. Free updates and a lifelong download guarantee? Yes, even if you get the software on DVD, you get the download as well. This allows you to access your personal customer area at any time, and all updates are free of charge within the main version. Customer area allows you to download your software at any time. 30-day satisfaction guarantee! If you are not satisfied, you will get your money back. The support I have been receiving from you is second to none. That other Companies should follow your example.